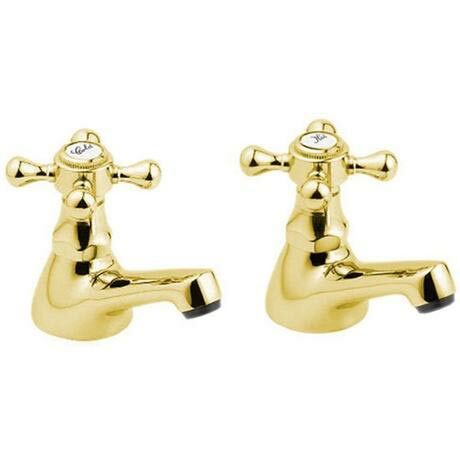 Stylish in gold finish, these bath taps from Tudor's Deva range are sure to bring a brilliant finish to your new bathroom. High quality gold plating on these taps allows for a great look, and the Tudor range of traditional taps is sure to compliment classic bathrooms well. The Deva Tudor Bath Taps are made in the Far East and plated in the UK. Hope this helps! Without a problem, other than awkward access but that's a normal plumbing problem! They were slightly smaller than expected, but exactly the same style as the ones I was replacing. They look great in situ.